ADD Another Rare DVD - Price Reduced! This title is very rare, has never been released to DVD and has NO FUTURE RELEASE DATE pending. 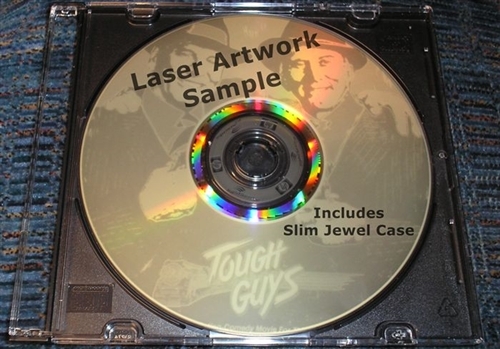 All DVDs are Region Free NTSC (North American) format unless otherwise specified. Farrah Fawcett (The Burning Bed, Small Sacrifices) stars in this epic story of true to life saga of one of Barbara Hutton, one of America's all time wealthiest ladies who was on an endless quest for happiness in the face of loneliness and despair. Beautiful, hopelessly lonely, and super wealthy. Barbara Hutton was the original multi million dollar baby girl. Barbara Hutton having inherited the vast Woolworth and Woolco fortune when she was only a young girl. Barbara was raised with extreme affluence that was coupled with even greater sadness. Craving the affection she seemingly could only imagine, Barbara burned through loads of cash by living high. Hutton then found herself poor and alone after numerous failed marriages. As one of the most famous women in America, Barbara's divorces are what held the attention of the public, which only added to her extreme sorrow and isolation. Poor Little Rich Girl The Barbara Hutton Story DVD 1987 Winner of three TV Emmy Awards and a Golden Globe is a fascinating and sweeping epic TV mini series event that follows the heiress Barbara Hutton around the planet, from New York to the UK to Tangiers, in her desperate and hopeless pursuit for true love. Poor Little Rich Girl 1987 clearly illustrates that even the vile maxim of money cannot buy love nor happiness. Only seconds into this NBC TV mini series event, Barbara Hutton (player terrifically by Farrah Fawcett) loses her mother tragically via suicide. Barbara's financier father, Franklyn (played by Kevin McCarthy), tosses her off on to her grandfather, the five and dime store king, none other than F.W. Woolworth (played wonderfully by the legendary Burl Ives), who passes away shortly afterw Barbara was thrust upon him. Hutton then goes to live with some relatives in California. When her great grandmother dies, Hutton (at this point played by Fairuza Balk) becomes a multi-millionairess and moves back to New York with her father. By the time Barbara Hutton reaches adulthood, the globe-trotting Hutton (now played by Farrah Fawcett) hasn't been able to connect and forge any significant relationships or true friendships. Barbara does enjoy the company of her kind attendant, Tiki (played by Brenda Blethyn), and her heavy drinking cousin, Jimmy (played by Bruce Davison). But with Hutton's beauty and enormous fortune, penchant for the big party life, men begin to swarm like bees that result in a total of eight failed marriages, a seriously neglected son, and a lost fortune. Directed by Charles Jarrott (Lost Horizon) Poor Little Rich Girl has a quite impressive cast of stars, including Stephane Audran and Zoe Wanamaker as Barbara's family associates. 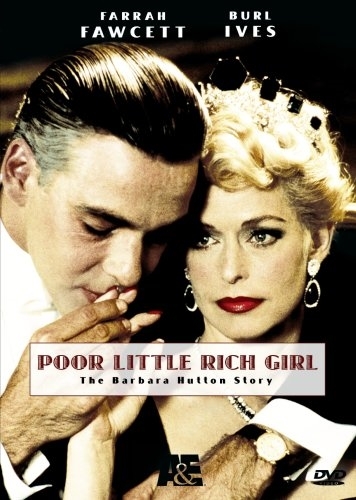 Poor Little Rich Girl The Barbara Hutton Story DVD 1987 is much heavy on the glitz and less so on the psychology of Hutton. The film still plays extremely well and is one of the best mini series events of the 80s. Poor Little Rich Girl 1987 DVD is an awesome TV mini series and one any serious Farrah Fawcett fan should own. Poor Little Rich Girl DVD is easily one of the best mini series to come out of the 80s. Farah Fawcett gives one of her career best performances in Poor Little Rich Girl DVD. Poor Little Rich Girl DVD represents one of the finest Made For TV mini series events from the 80s. © Copyright 20165 RareDVDs.Biz. All Rights Reserved.